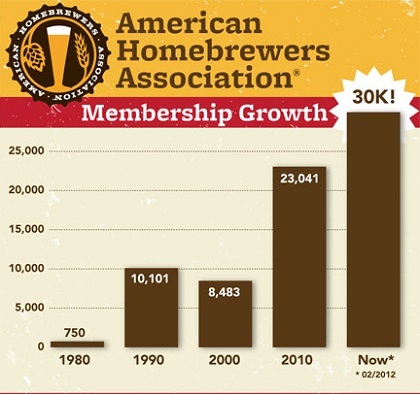 The American Homebrewers Association (AHA) reached a milestone this month with more than 30,000 members. Current estimates indicate that approximately one million Americans are making their own beer and wine at home. The official organization for hobbyists was established in 1978, shortly after President Jimmy Carter signed the bill that legalized homebrewing. Prior to that, the hobby was illegal thanks to a vestige of prohibition-era law. Buoyed by their newfound freedom, Charlie Papazian and Charlie Matzen founded the AHA that December with the first publication of Zymurgy magazine. Now, over three decades later, Papazian-currently president of the BA-looks back on the AHA’s inception with pride. “I don’t think we realized how dramatically the American Homebrewers Association would affect the beer world,” he said.